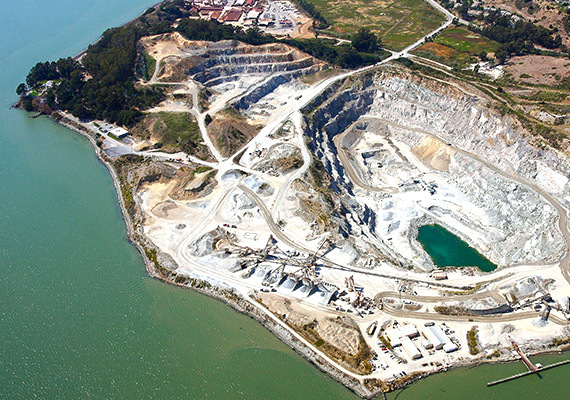 Project: The San Rafael Rock Quarry, a Dutra-owned entity and critical supplier of aggregate material to the Delta, Bay Area and beyond, was undergoing a high profile approval process with the County of Marin to extend its operating permit for an additional 17 years and to endorse its reclamation plan. Challenge: A powerful neighborhood group that had battled with the San Rafael Rock Quarry for many years was working in conjunction with the Supervisor of the Quarry’s district, who viewed the approval process as an opportunity to severely cripple the operation. Opponents were planning to launch an alarming, fear-inducing campaign concerning community health risks. They were well-organized, politically connected and extremely vocal. Strategy & Execution: MPA performed extensive research to gauge the public’s attitude toward the San Rafael Rock Quarry, giving us valuable insight into the most effective messaging. Immediately, we initiated a precise, multi-faceted community outreach program that pre-empted the opposition’s campaign, which put them in a defensive position having to respond to our messages rather than their own. Over a period of time that included lengthy delays, our arguments in support of jobs and economic vitality outweighed their faulty, negative claims. Additionally, MPA orchestrated numerous community updates, supporter drives, corporate events and media responses that helped to create a positive perception of the Quarry. Outcome: By a vote of 5-0, the Marin County Board of Supervisors approved the San Rafael Rock Quarry’s operating permit and reclamation plan.